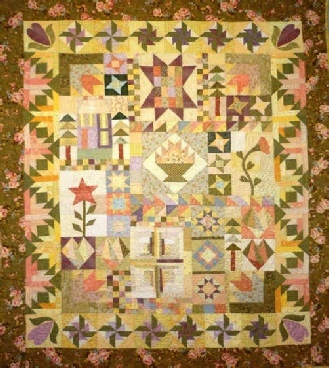 This quilt keeps you interested all the way through as you are making different blocks and units all the time. The blocks use various piecing methods to enlarge your repertoire of techniques. New fabrics can be added and used as you go through the blocks. 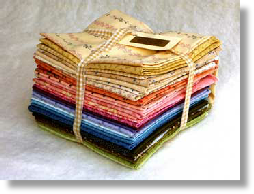 Fabric Requirements: Select a large selection of fabrics (fat 1/8ths or scrap pieces will do) In your colour choice for your quilt. 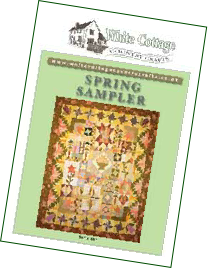 The great thing with this scrap quilt is you can always add more tasty fabrics as you go along. PATTERN - Deduct £5 off pattern if kit purchased. either call or email us for details, thank you.